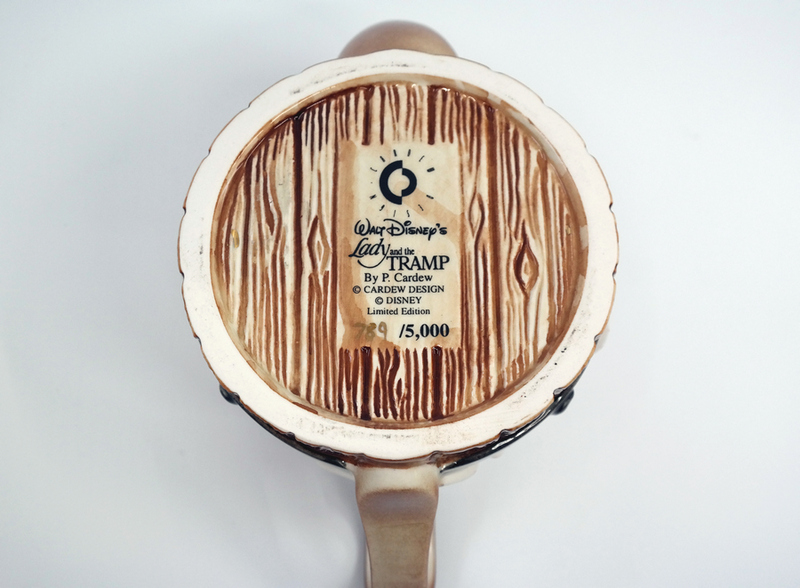 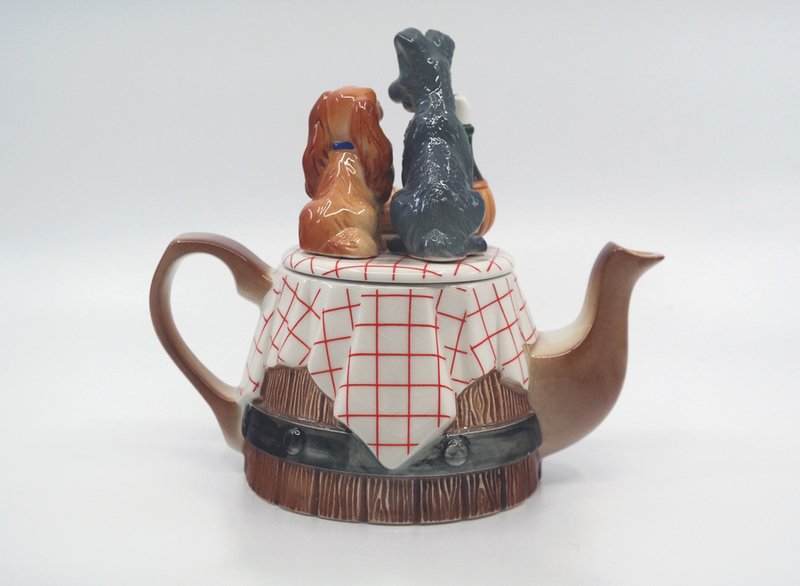 This is a limited edition ceramic teapot made by Cardew Designs in 1997. 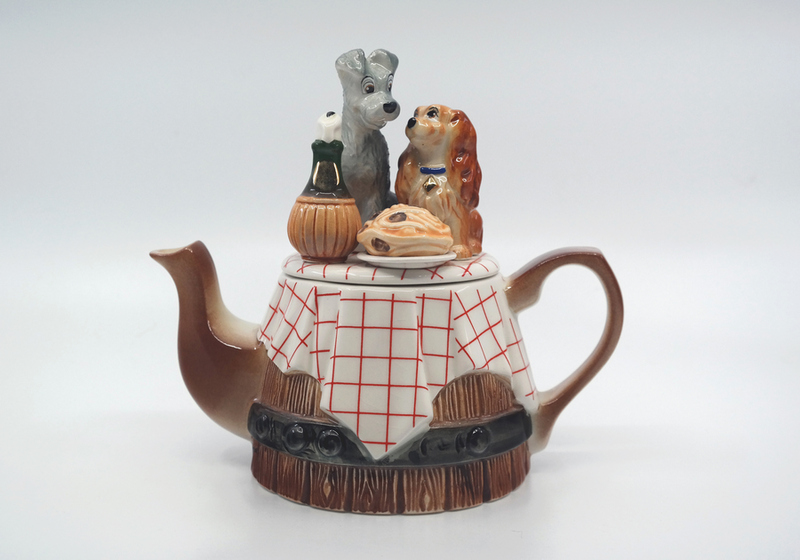 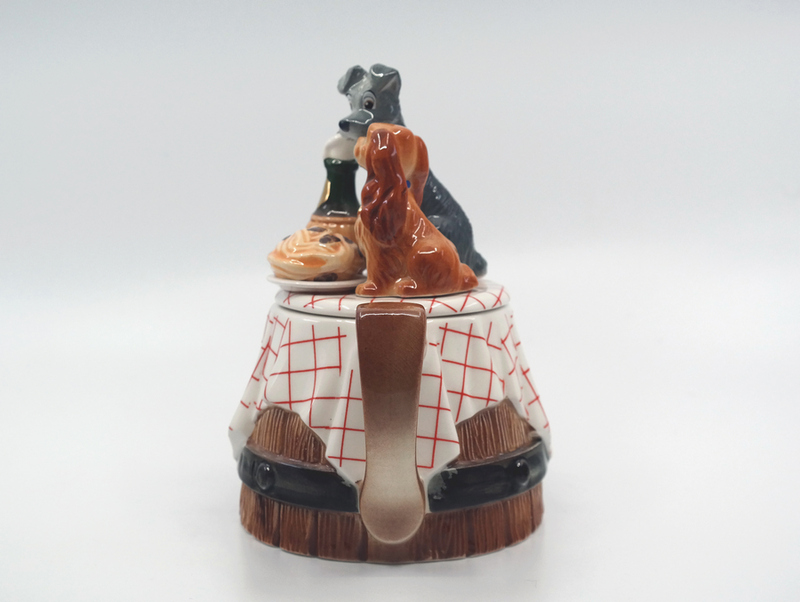 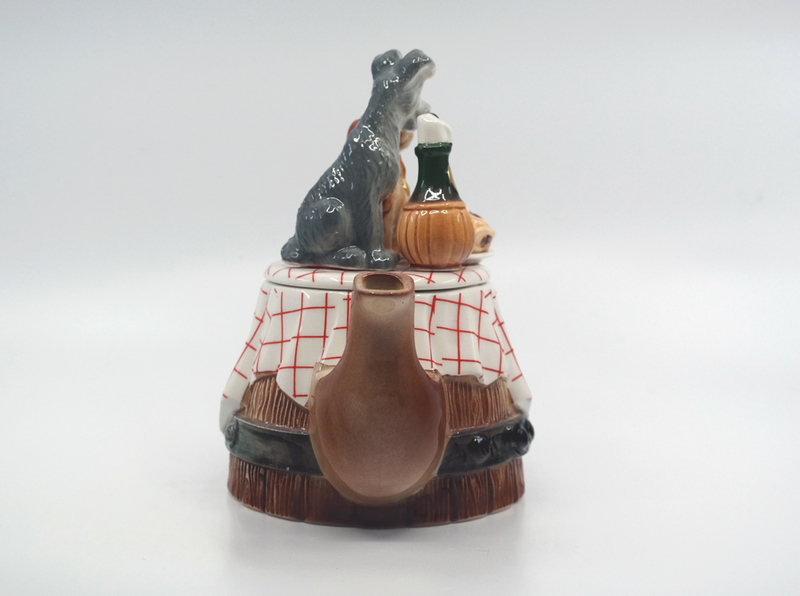 The teapot measures 6.5" x 7.25" x 4.5' and features Lady and the Tramp having a spaghetti dinner from the Bella Notte scene. 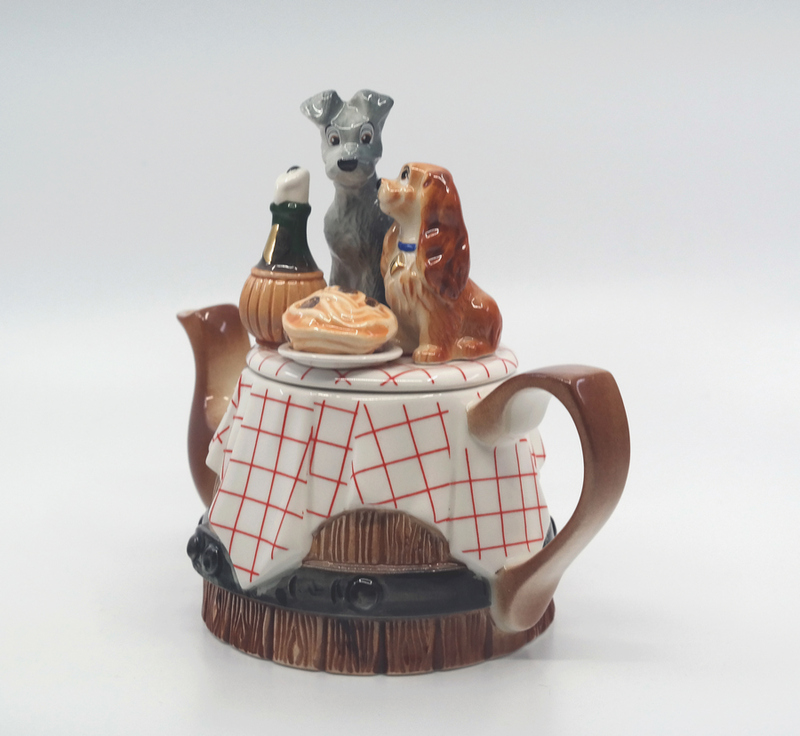 The teapot is in excellent condition.